Space has had a place in the hearts and minds of humankind regardless of race or nationality for well over half a century. In the first "space race" its seductive nature inspired the worlds brightest to champion insurmountable leaps in science and technology, all of which was done with the goal of sending a few men to be the first to experience the awesomeness of space on behalf of their countrymen. This first push into space gave the world a collective understanding of where we stood in the universe. In the last decade there has been a handful of new companies which have started to explore the possibilities of space, this "new" cadre of entrepreneurs have given the latest expansion of space ventures the moniker "New Space". The inherent optimism implying a different approach to the space of old, a different approach than NASA. Though there has been some genuinely new approaches to commercial space such as the efforts of SpaceX to bring the cost of space travel down with the ultimate goal of reaching Mars, companies like Space X which are kindling new dreams of space exploration for mankind are few and far between. Companies like SkyBox who offer sub-meter imaging and video-- at a price, or virgin galactic who are pushing to send the world's millionaires up in to space offer dreams of commercialization. Is the commercialization of space the dream of tomorrow? As it stands now does it deserve the "New" or is it "Post Space", like postmodernism simply the post acting as a signifier of a departure from. Have we accepted space or can this new push into space be more. Can we embrace the openness of space and offer opportunities to more than the world's billionaire and wealthiest nations. Can new space become a platform for cultural, social and scientific advancement in the way that the internet has been in the last two decades. We are at a turning point where we can define who owns space and what it means to us again. In this project potential "New Space" space entities were created through the design of "speculative swag". Swag acting as an artefact of the future that literally grounds space programs long after they have been lost to the ether of space. The ISIS space program was christened with the launch of the Raqqa a mid-weight communications satellite. 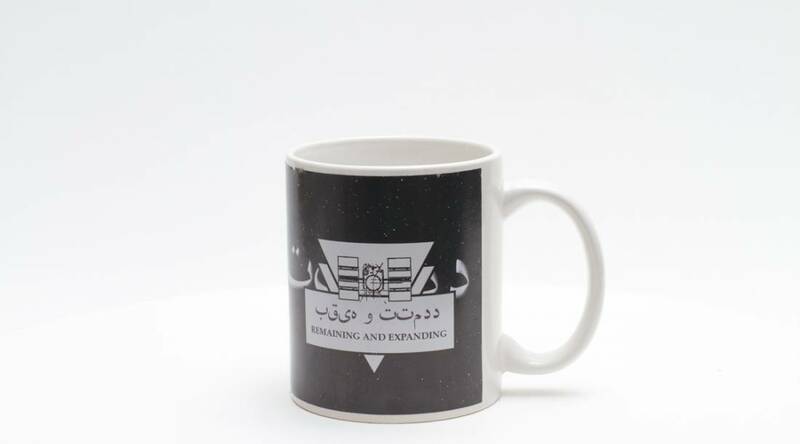 The controversial satellite was seen as an attempt by the Islamic State to be viewed as a sovereign nation, still considered a proto-state years after its inception the organization believed entering space would help cement its position as a member of the international community. The intelligence agencies determined early on that the satellite had little tactical value for the Islamic State, so it was left in orbit. Ultimately however, since ISIS hadn’t launched the Raqqa itself the attempt did little to further the proto-states goals, despite getting substantial coverage by the news-media. Operating with a SHF TOS Network connection for low bandwidth uplinking, and an amateur band downlink, the satellite operated as a limited downlink server and dead drop. The majority of the content was easily accessible to those with a satellite receiver. 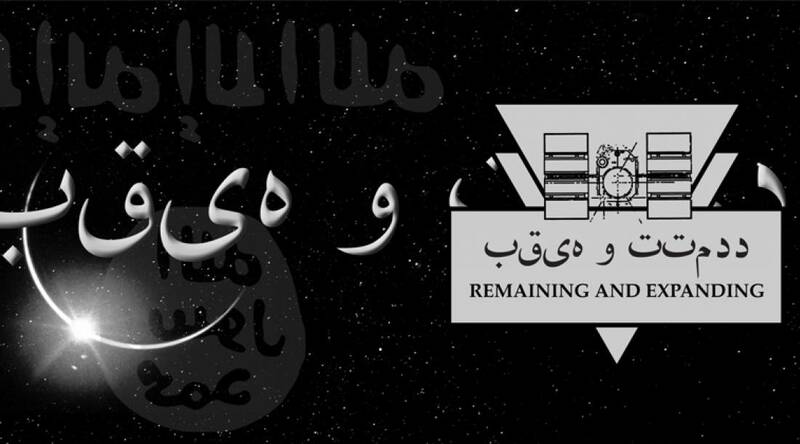 While operating, the satellite transmitted some of the many so called Islamic State handbooks which the proto-states followers had published over the years, as well as current videos documenting the organizations exploits which would be normally taken down within minutes of being posted using conventional distribution methods. The technical/scientific capabilities of the ISIS space program had little historical importance by comparison to the geo-political assertions that the Raqqa launch made. The satellite was launched by Arianespace on July 20th, 2025 by a small startup turkish aerospace company funded by a shell company based in the bahamas. It wasn’t until 14 days after the launch that the satellites intentions became known, the satellites downlink had been picked up by a 10th grade science class in Akron Ohio, and was promptly reported to the authorities. After the launch went public, questions were raised around the lax restrictions placed on commercial satellite launches. Purportedly the satellite was delivered to Arianespace a mere three weeks prior to launch and was paid for entirely in cash. Since the satellite met the technical specifications required and appeared to have all necessary documentation Arianespace had no reason to be suspicious. It was the general policy of commercial launch companies up until this point not to ask for further information due to the sensitive nature of proprietary technology. After several months of heated debate in the media and small internal policy changes the issue was put to rest, but ultimately little has changed in regards to the intentions of vehicles launched using commercial facilities. Seen as unlikely an unlikely participant to enter in to debates around space, many were skeptical and even critical when Greenpeace first announced its intentions to launch a network of space monitoring satellites. The program fell under deeper criticism when it later announced that the satellites would not be monitoring earth, rather they were intended to monitor space. With the oceans, seen largely as a lost cause; Greenpeace decided to shift focus and extend their focus outward - the program’s focus would be preserving Earth's orbit for future generations. Over the course of ten years Greenpeace launched a total of 12 satellites costing a total of fifty million dollars. Scientifically speaking, the Greenpeace launches had little relevance to the international space community who already had more sophisticated monitoring systems in place. Greenpeace’s program however, was focused on public outreach. A website gave the public an opportunity to participate in tracking and reporting space junk to relevant authorities, the website engaged space environmentalists in what became known as space shaming: the public shaming of space corporations for not properly decommissioning their satellites. The program was ultimately seen as a success, largely because it brought nearly three times more funding into the organization than the reported cost of the launches, however it is yet to be determined as to whether or not it had much influence on commercial space. 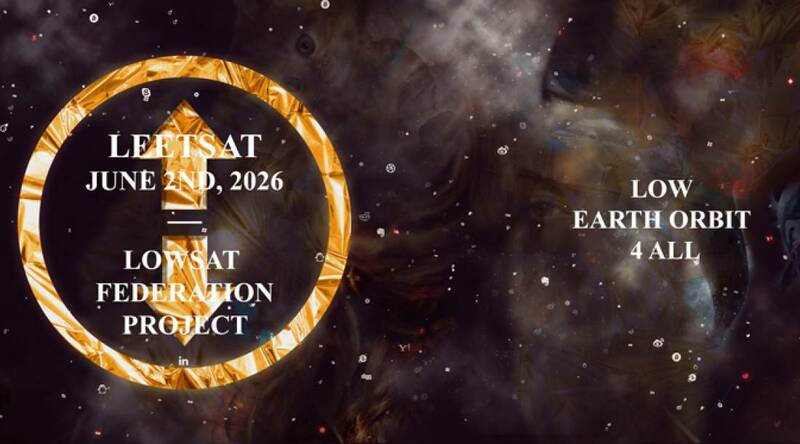 Lowsat’s mission is simple, keeping low earth orbit fair and accessible to all. Lowsat was created in response to growing concerns that space, and space technologies would only remain accessible to the wealthiest individuals and corporations, so a system was devised to encourage a more even playing field. Lowsat to date has never launched its own satellite rather developing technologies that help companies participate in the open space community. Through a small low power open source receiver and transmitter, which accesses the open space network Lowsat a not for profit offshoot of Reddit hopes to help monitor, maintain and keep space accessible to the 99%. Lowsat hopes to open source a portion of all information collected by commercial space launches bunching satellites into communities, which can be made available to the general public, part of the reason in doing so is to ensure that instruments launched into space are for the good of all. The Obscure Space or TOS, was developed by a group of Stanford researchers looking for ways send sensitive communications between the networks of satellites they were developing for the Air Force and Navy. As the technology evolved and was later declassified the project became a widely accepted open protocol for commercial and non-commercial satellite communications. Operating in the super high frequency range of 60 GHz, which does not penetrate the Earth’s atmosphere, satellites communicating on the TOS protocol distribute their encrypted communications to an expanding array of satellites that have adopted the protocol. Because no one satellite has all of the information the information becomes useless to those trying to listen in. As the network has become more widely adopted, organizations such as Anonymous and Wikileaks have started to launch server satellites and communication satellites which allow individuals and organizations to store information and communicate without using on the ground infrastructure which governments can easily monitor. Often touted as everything that is wrong with the New Space industry Yorbit epitomized the capitalist nature of many of the companies that made up the New Space era. Yorbit was one of the first companies to engage in space-advertising but is widely accepted as a the company which ruined the night sky. Over the years Yorbit has launched hundreds of small mesh network satellites which operate as led matrixes, from space they appear as grid of lights, from the ground they appear as a small image or logo floating across the night sky. Due to the high speed of the satellite (orbiting the earth in just over 90 minutes), a company who hires their service can advertise in up to 24 different countries and on virtually every continent in under thirty minutes. Reaching demographics who may not have ever been on the internet, seen a television or even have electricity. Yorbit’s service has been used by companies like Red Bull, Coca Cola and Microsoft, Nike even commissioned three satellites to orbit the earth with their logo at all times. The European Union tried to regulate companies advertising but was unsuccessful because of treaties that have largely left the night sky unregulated to corporations and countries.